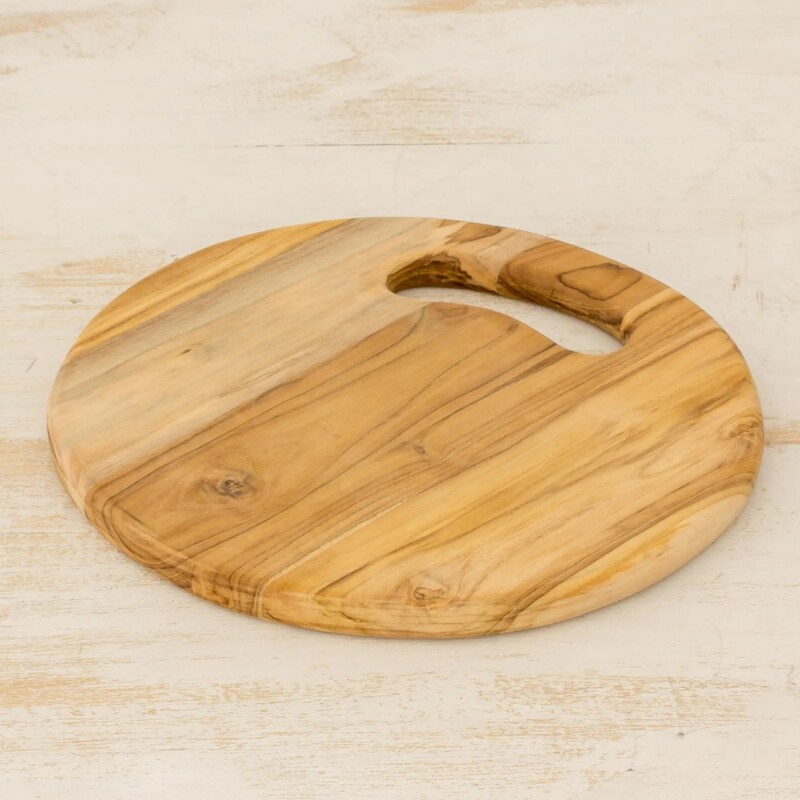 Have you heard of Novica? If not, you’re in for a great treat. 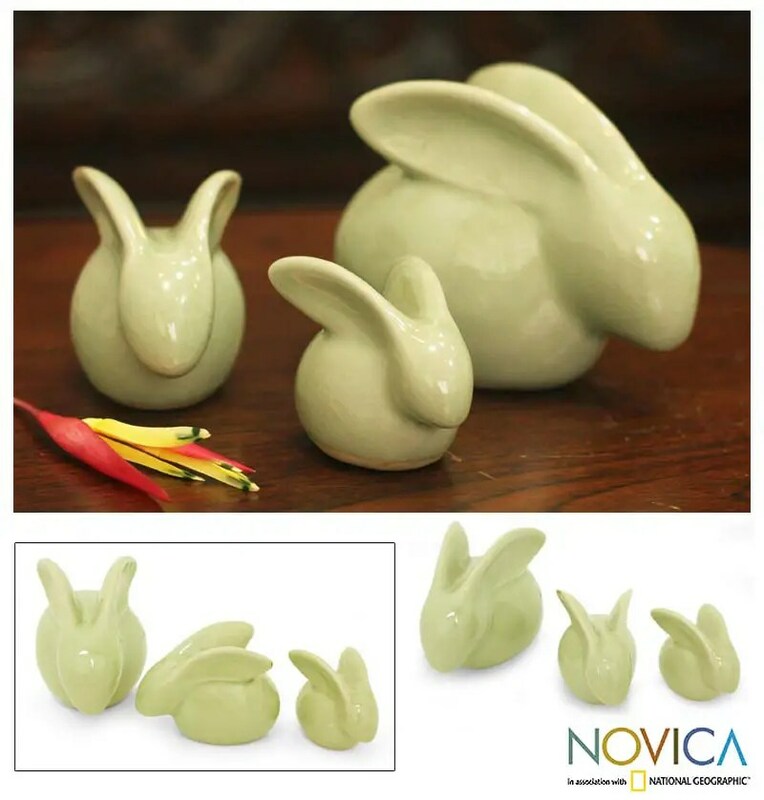 Novica, which works in association with The National Geographic, works with artisans across the developing world to offer high quality personal items from unique gifts for woman and men to bags and items for the home and cooking. 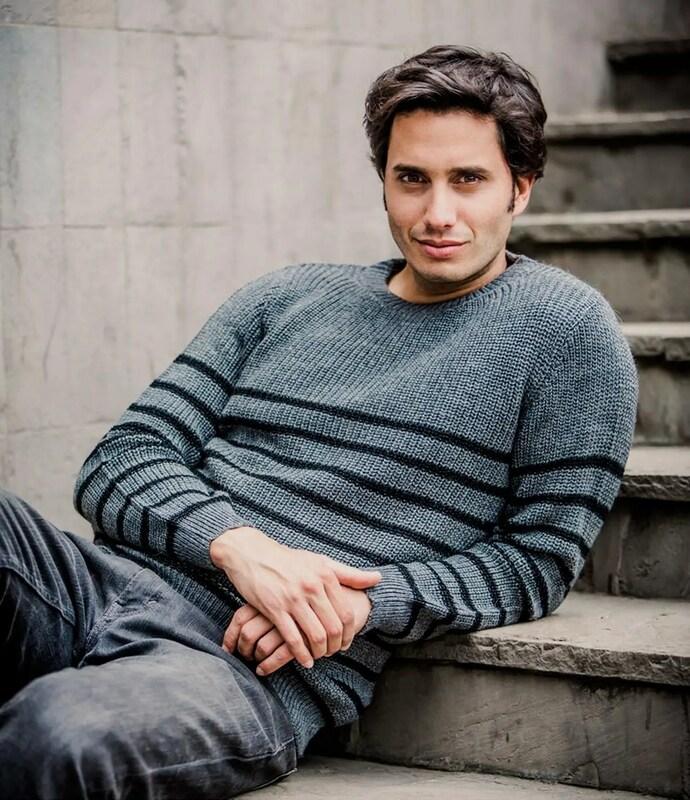 Grey Cuzco Men’s alpaca wool blend sweater made by Nester Yana in the Andes. Celedon ceramic Chiang Mai Rabbits made by Duangkamol in Thailand. 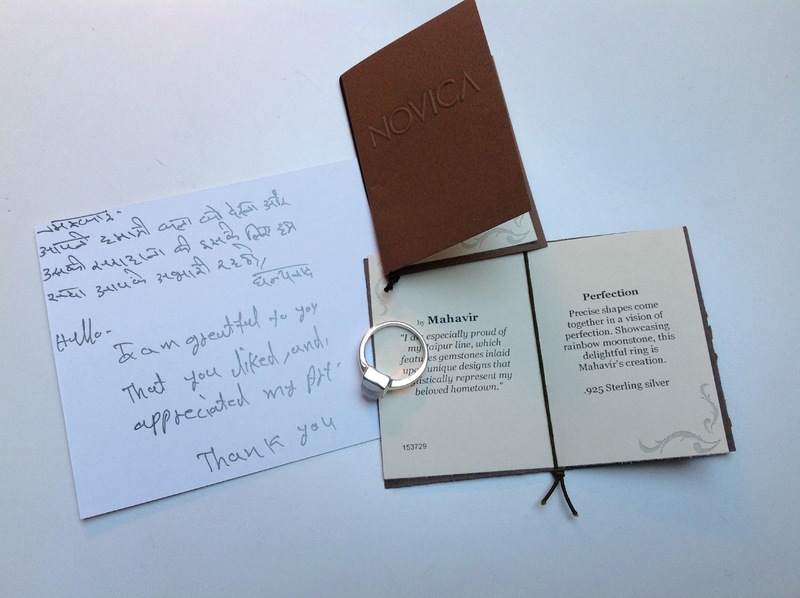 The folks at Novica were kind enough to send me two gift certificates to partake in their handmade offerings – one for me and one to share! I was able to purchase this beautiful ceramic Banana Leaf serving platter that is just the right size for serving hors d’ouvres. Made by Tat Yan Soo in Bali. And I was also able to purchase this beautiful .925 sterling silver moonstone solitaire ring called Perfection made by Mahavir in India. All items come extremely well wrapped, with hand written gift cards and a cute little “certificate” booklet. Let me tell you – the platter was so well wrapped I think they could have dropped it from a plane into my yard and it would have been fine. Both items came in less than two weeks. This is the second time I’ve ordered from Novica and have been thrilled with the quality in all cases – from jewelry to ceramics. A great source for unique – and extremely well priced – gifts. And, now for the fun part – Novica is offering a $100 gift certificate to a lucky ::Surroundings:: reader. Just head over to their site and report back here in the comments what item(s) you would order if you won. A note to the eventual winner – just remember that shipping will be added to your order, so if you want it covered by the GC, keep that in mind. Or, you can order $100 worth of merch and just pay the shipping (which in my experience has been very reasonable). I will announce the winner on Monday, April 8th. Novica has also created a “Curated” section for their site where you can pull together a grouping of your favorite items to share with friends or readers if you have a blog. It’s a great way to showcase your style as well as help the artisans whose work you admire! Check it out here. CONGRATULATIONS TO MARCIA E – YOU’RE THE WINNER! And thanks so much to all who entered!